The Creative Arts Network have launched their first print publication ‘Hue’ today. 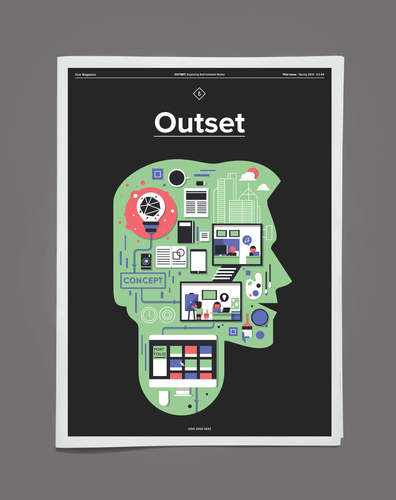 Outset, the pilot edition of Hue, explores the origin of ideas behind self-initiated works. Creatives, who are connected to the church, discuss aspects of creative studio culture and practice from a varied range of creative disciplines. Self ‘assigned’ briefs and studio projects have often played an important part and are a regular feature in the creatives portfolio. Whether simply a brief respite from restrictive client briefs or an opportunity to strengthen the portfolio, many creatives deliberately put aside time for such projects. Outset aims to explore what drives ideas when clients aren’t paying. The first cross-media platform of its kind. Exploring the 'bit in the middle' between the church & creativity.